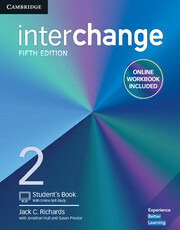 The Advanced Student's Book consists of 10 units and provides 80-120 hours of teaching material. The DVD-ROM in the Student's Book includes consolidation activities and an electronic portfolio for learners to track their progress. 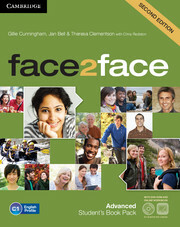 The face2face Second edition Advanced Online Workbook provides the course content plus additional multimedia in a package that supports independent study. It offers a classroom without walls for schools that wish to take their teaching into the digital age, allowing teachers to communicate with students and track their progress.